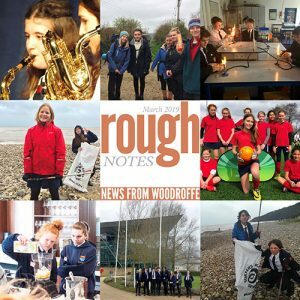 At the end of this term we are two thirds of the way through the 2018-19 academic year and, as always, time seems to have gone very quickly. After the Easter break there are only a few weeks before the examinations begin in earnest which is always a feat of organisation for everyone involved. The students, who should now be revising and building the various bodies of knowledge needed by all their courses. The teachers, keen to prepare and drill them as well as time will allow. Then there is Mrs Bailey, our astonishingly well-organised examinations manager and her team of invigilators who, working with the site staff, will be working to make sure that rooms are booked, tables are set out, regulations are followed and the whole exam experience can be as smooth as possible. Research suggests that as a result of the government’s reforms of GCSE examinations since 2018, the average Year 11 student will now sit an extra ten hours of tests than were completed in previous years. This was done in part because of the removal in many subjects of coursework (then called controlled assessments), but it does mean that exams now require greater skills of endurance by everyone compared with the past. It also means that our young people are being tested in a different way to some of their older brothers and sisters. More emphasis is placed on exams now, requiring memory and knowledge, meaning that besides having longer exams where more needs to be written, students have even more to remember as well. Whether these changes make young people better prepared for their next steps in life is yet to be seen but it does mean our students have to be more self-motivated and better organised if they are to make the most of the opportunities before them. Within school there are a wealth of opportunities constantly on offer to help them to achieve and broaden their life experiences. In the last few weeks hundreds of students have been involved in Science Week and a huge thanks goes to all staff within the Science team and beyond who gave up their time at lunch and after school to run these sessions. I am told by Mr Ransome-Williams that over a hundred students completed a Virtual Reality Moon Walk, whilst all of Year 8 had an hour in the mobile planetarium. Mrs Ballam’s husband provided another fantastic talk to Year 11, accompanied by an amazing range of birds of prey, and this year the work also went beyond the school gates. Mr Loveland, Mrs Thompson, Mrs Lemon and some Year 7, 8 and 9 students completed a plastic litter pick of Monmouth beach in Lyme Regis. Hundreds of students took the chance to play with the science curriculum and by making learning interactive and fun, I am sure that many of our students added to their subject knowledge during the week. Since then we have hosted the Young Shakespeare Company performing parts of Macbeth with Year 10 and we have had a visit from the story teller, Martin Maudsley. Over the weekend students completed their preparation for the upcoming Ten Tors event whilst Mr Cullimore and Mrs Webb finalised rehearsals for the annual Spring Concert. For teachers within the school and across our Teaching School Alliance we have also hosted a visit from the educationist, Amjad Ali. Opportunities like this help to keep our approaches to teaching fresh and drawn from the latest educational research. 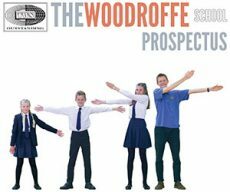 So, as ever, there are a mass of opportunities targeting both students and staff at Woodroffe with our only challenge being to get everyone to find the time to take advantage of some of them. And, if this segue way doesn’t feel too cliched, can I also take this opportunity to wish everyone a restful and happy Easter break.